Scottsdale’s sand isn’t only found in the desert. In fact, right in the middle of our urban areas, you’ll find sandy beaches and waterborne activities perfect for unplugging from the daily hustle and bustle. Let a little sand between your toes take away your woes at these local spots. At the Fairmont Scottsdale Princess, a 7,000-square-foot pool and 380 tons of white sand at Sunset Beach allow plenty of room for kicking up your heels on the shore or enjoying a cocktail at the swim-up bar. 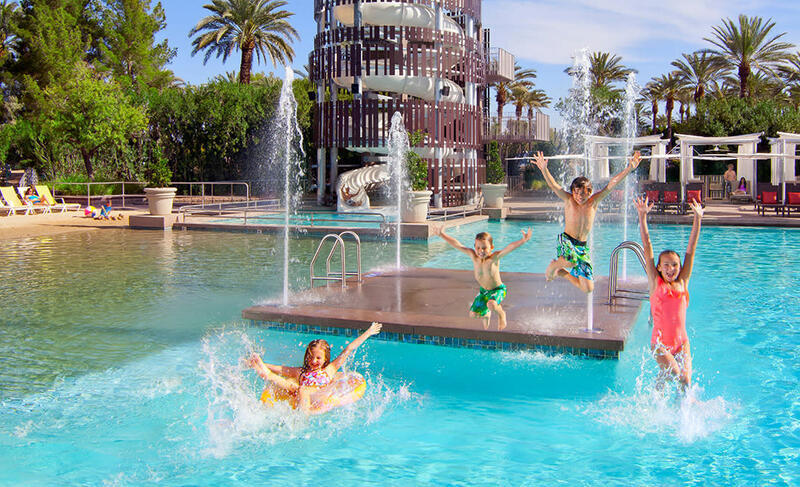 With lounge chairs for 100, a Sunset Splash Pad, waterslides and more, it’s fun for the whole family. 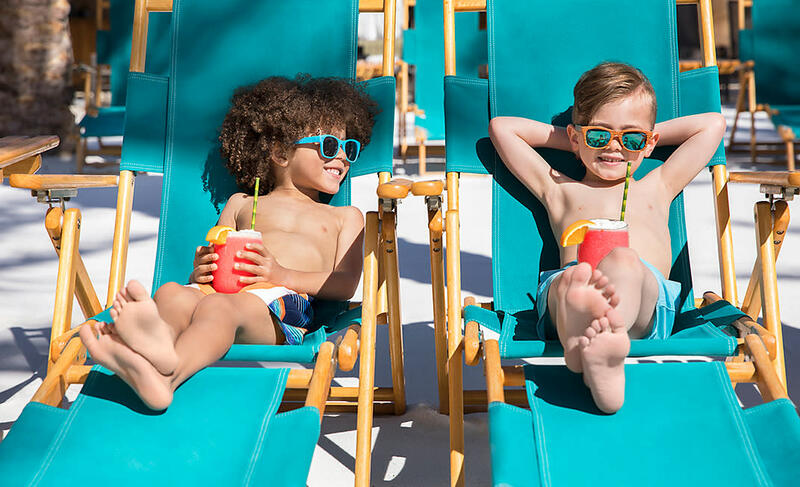 The 2.5-acre water wonderland at Hyatt Regency Scottsdale Resort & Spa at Gainey Ranch has all the right ingredients for a summer cool-off, including 10 swimming pools, a sand beach and two poolside bars. Plus, if hitting the links shore-side is your thing, you can take a swing at the beachside putting green. Just minutes from Old Town Scottsdale at The Scott Resort & Spa, you’ll find a beachy escape that feels a little like Havana – especially with The Canal Club’s Poolside Menu at arm’s length. Get your fix of sunshine and build a sandcastle at the sandy hideaway known as La Playa Pool. 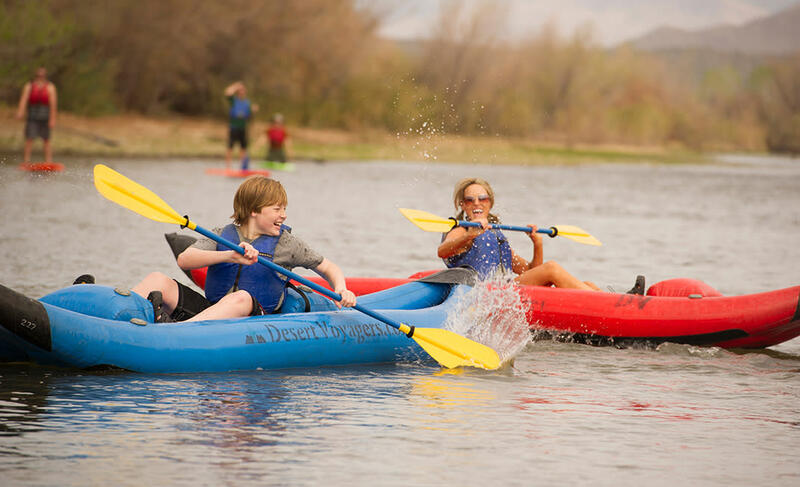 Delight in a relaxing “beach-side” float of a different kind on a guided kayak tour of the Lower Salt River with Arizona Outback Adventures. On a calm, Class 1 river with lush green riverbanks, sandy beaches and opportunity for a dip in the fresh waters – plus a chance to spot wild horses – it’s a great way to chill out on a warm desert day. A surf lesson under the Sonoran Desert sun? Why not. After all, next to sand, nothing says “beach time” like surfing. 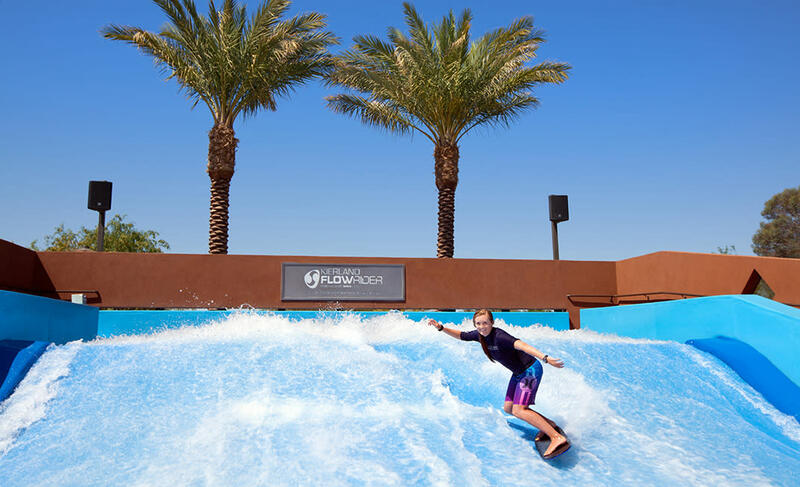 At The Westin Kierland Resort & Spa, FlowRider is a must-see. Give bodyboarding or flowboarding a whirl to become a wave rider in no time. Kiddos and adults are all welcome!